Over the last two years, I've become more involved in gaming, and more interested in narrative design - how to tell a story in an interactive way, hopefully while giving the player a sense of control and agency (whether they have it or not). As much as I love novels, it's a different experience writing for a reader who is sitting still, a reader committed to reading your story in order, from left to right, from page 1 to page 400. It's something different to tell a cohesive story to a player who will want to explore and run around and try as many different things as they can (or as the game will allow). My exploration of interactive storytelling led me to the precious, independent gem that is Firewatch. I had such a profound narrative experience playing it, and I am in utter awe of how every aspect of this game came together perfectly to tell a riveting story. The year is 1989, and you play Henry, a man recently hired as a summer fire lookout for a vast Wyoming forest. The job is isolating (the three-month gig involves sitting in a lookout tower and watching for fires), and that's just the way you like it. You're not exactly alone - your supervisor Delilah (who mans a nearby lookout tower) keeps in touch by radio. But something's not quite right about this forest. The first day you start, someone breaks into your tower. The next day, some campers go missing. It's up to you (with the help of Delilah) to find out what's going on in the woods. There's no combat in Firewatch. It's first and foremost an explorative narrative game - and every aspect of the game is specifically designed to contribute to the exquisite pacing, tone, and direction of the story. The theme of Henry's isolation is conveyed through the pairing of a massive, wild environment (the gorgeously-designed forest) with a restricted gameplay perspective. Everything is viewed through Henry's first-person POV, and his interactions with Delilah (while extensive and beautifully acted) take place entirely on the radio. Ultimately, the only thing Henry can be completely sure of is himself, and the undercurrent of uncertainty creates a rising, visceral tug of suspense as the story proceeds. But this isn't a horror game. There's also beauty, empathy, and a lot of humour as Henry and Delilah - connected only by walkie-talkie - rely on the anonymity of radio chatter to explore themselves and their own reasons for abandoning the world to spend a summer looking for smoke. Some people would call Firewatch a "walking simulator" (since there's no fighting or puzzles or traditional active gameplay), but I find that label reductive. "Narrative Experience" is more fitting, if also a bit more vague. 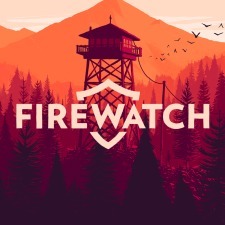 Regardless of how it's categorized, Firewatch is an outstanding example of visual, aural, environmental, and interactive storytelling. 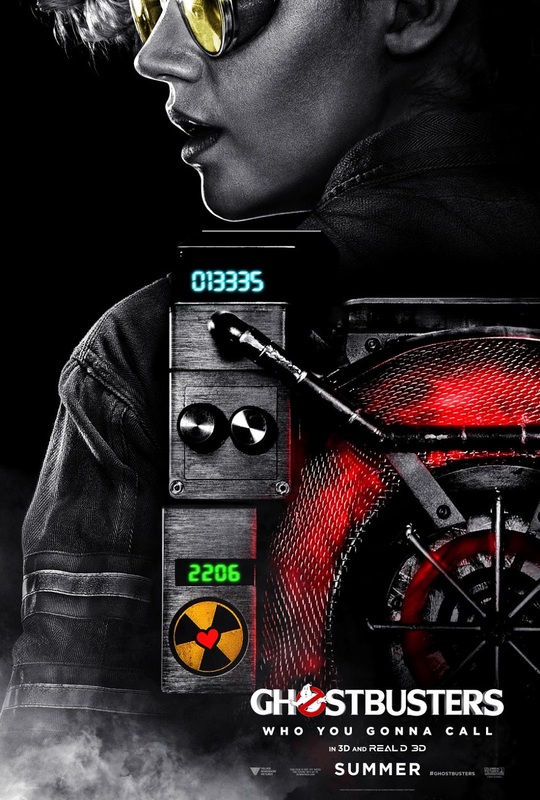 The smartest move this film makes is that it doesn't try to replace the original Ghostbusters. It's not a remake: the plot is different, the characters are original, and it explores other themes. It's not supposed to be The Better Ghostbusters. It's supposed to be Hey! Great! More Ghostbusters! You could easily watch both films back to back without feeling like you experienced the same story. This Ghostbusters is a more character-driven comedy. Abby (Melissa McCarthy) and Erin (Kristin Wiig) used to be best friends and paranormal scientists, but Erin abandoned their research and denied her ghost-hunting past to pursue academic credibility. The sudden appearance of powerful malevolent spirits in New York causes them to reunite, and with the assistance of some awesome new friends - wild card engineer Holtzmann (Kate McKinnon) and history expert Patty (Leslie Jones) - they uncover an insidious paranormal threat to the Big Apple. It takes a delicate hand to write an effective comedy about the need to be taken seriously, but Ghostbusters pulls it off. The desire to be heard, understood, believed, and appreciated drives all four of our Busters in different ways. Erin does this initially by conforming to thankless and ultimately fruitless standards. Her arc has such a strong and empathetic feminist streak in it as she rebels (in an increasingly hilarious fashion) against the ways in which society dismisses and disbelieves her. McCarthy's Abby - played with her trademark sweet-and-sour delivery (with a stronger emphasis on sweet this time) - wants to stick to the science, believing objective results and personal fulfillment trump social status. McCarthy plays it pretty low-key, as the emotional rather than comedic centre of the group. Jones' Patty - the lone non-scientist - represents the self-made, self-educated woman. She reads like a fiend, knows the city inside and out, and knows her way around people - and she soon proves that she's a worthy Ghostbuster, degree or no degree. And McKinnon's Holtzmann? A lesser movie and a lesser actress would have just labelled Holtzmann as "the kooky one" and played her with a combination of obnoxious, unrelated comedic traits that are barely tolerated by the rest of the cast. Instead, Kate McKinnon absolutely steals the entire movie as an unorthodox, confident, wildly charismatic, and unrepentantly unfettered genius who just wants to make wild, crazy science with whomever will let her. And, oh yeah, this movie is also funny! Alongside these four comedic powerhouses, Chris Hemsworth does an outstanding job as their Hot Dumb Blonde Receptionist Kevin, and the movie is littered with well-deployed nostalgic references that should please Ghostbuster aficionados without excluding viewers unfamiliar with the franchise. All told, Ghostbusters is a well-written paranormal comedy that combines wit and slapstick with emotional resonance and keen social commentary. I highly recommend.